Robert (Rob) Davis is a 12-year NFL veteran. He is entering his third year as Green Bay Packers Director of Player Development. Before being named to his new position, he had spent the previous 11 seasons as the Packers' long snapper, before retiring in March of '08. As the director of player development, Davis is vital in maintaining locker-room cohesiveness and overall player health. He assists players in acclimating to their roles, both on and off the field and in the Green Bay community. He worked three years for an opportunity to play in the NFL, spending two training camps with the N.Y. Jets (1993-94), a year with the CFL's Baltimore Stallions (1995) and a preseason with Kansas City (1996). In 1996, Davis signed with Chicago and played all 16 games as the team's long snapper. Released by the Bears near the end of the '97 training camp, he signed with Green Bay in November and handled all long-snapping duties the last seven regular-season games, as well as all three playoff contests, including Super Bowl XXXII. Davis became the first player ever from Shippensburg (PA) University to play in the NFL and was named to the school's athletic hall of fame in October 2003. Accompanying his induction, he also became the first player to have his jersey retired by Shippensburg in any sport. A native of Washington, D.C., Davis and his wife Tara have a daughter, Marlee and son, Kahli. 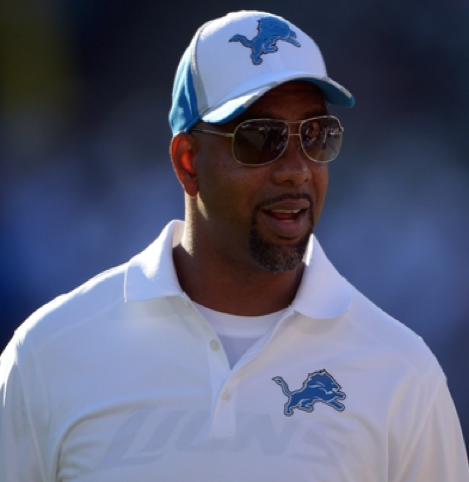 Galen Duncan is the Senior Director of Player Development for the Detroit Lions. Duncan holds a Ph.D. from Walden University’s Doctoral Psychology Program. His course of study is Health Psychology and his focus is athletic counseling. Duncan serves part-time as a consultant with the National Football League Program for Substances of Abuse. He also is a consultant for the National Basketball Association and the NBA Players Association providing education and life skills training to future and current professional athletes. Duncan is also a commissioned officer in the United States Army Reserves. He serves as a Captain in the 323rd Combat Support Hospitals Neuropsychological unit. Responsibilities include debriefing of soldiers, urinalysis and stress training. Duncan uses all of these experiences to provide workshops, professional development and training opportunities to schools, groups and businesses hoping to maximize the potential of their members. Benjamin (Ben) Thomas joined Auburn University’s football staff under head coach Gene Chizik after previously serving as Director of Athletic Events from 2005-08. Currently Thomas assists with day-to-day operations of the football program with emphasis on player relations and player development. Thomas was Auburn's Resident Manager of Sewell Hall from 1997-2005. He served as the defensive line coach at Tuskegee University from 1995-96. Thomas was a defensive line coach at Auburn High School from 1992-95. He played defensive tackle for seven seasons in the NFL for the New England Patriots (1985), Green Bay Packers (1986-88), Pittsburgh Steelers (1988-89), Atlanta Falcons (1989) and Los Angeles Rams (1991). A native of Ashburn, Georgia Thomas has two sons: Benjamin III and Milton. 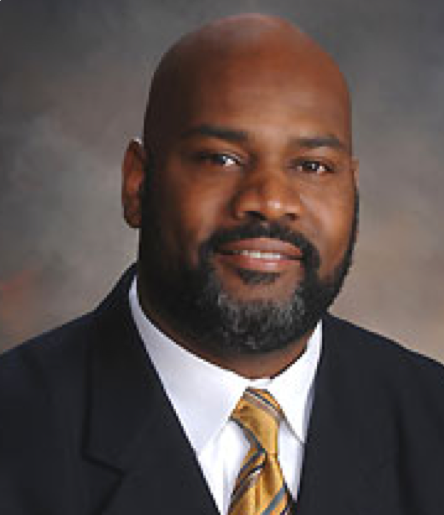 Thomas earned his bachelor's degree in education from Auburn in 1995. Thomas lettered for Auburn from 1981-84 and Finished his college career with 290 tackles and 10 sacks. An All-SEC selection in 1984 after registering 141 total tackles. 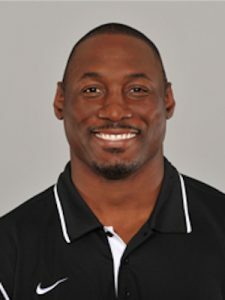 Marcus Pollard is in his third season as the director of player development and youth football for the Jacksonville Jaguars after being named to the post on March 24, 2013. In his current role, Pollard coordinates all team life skills programming, as well as the Jaguars rookie club and NFL Rookie Success Program. In addition, he works closely with players on continuing education, career internships, professional development, employee assistance and financial education. Pollard played 14 seasons (1995-2008) in the NFL as a tight end with Indianapolis, Detroit, Seattle, New England and Atlanta. He earned a roster spot in 1995 with the Colts after a tryout during training camp and played in all but six games for the club over a nine-year span from 1996-2004. His career totals include 192 career games with 131 starts and 349 receptions for 4,280 yards and 40 touchdowns. A native of Lanett, Ala., Pollard played basketball at Bradley University for two years after transferring from Seward County Community College in Liberal, Kan. He did not play collegiate football and earned his way onto the Colts’ active roster through the practice squad. Following his retirement, Pollard served as an assistant coach at Lanett High School from 2008-12. He and his wife, Amani, have two sons, Myles Ashton and Micah Jayden, and two daughters, Aja Amani and Ayris Mae. Kerry Stevenson is the Director of Player Development at the University of Alabama. 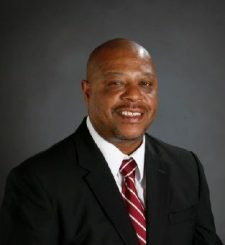 In this role, Stevenson’s main focus is the off-the-field activities of Alabama’s football student-athletes, and he serves as an important resource in balancing the demands of academics, athletics and community outreach. Prior to Stevenson’s appointment by Nick Saban in 2013, he worked as the head football coach at Vigor High School (Prichard, AL) for ten years. Stevenson won the state championship with a perfect 15-0 record in 2008. His team finished as the state runner-up in 2011 and finished 12-3. He coached former Alabama players B.J. Scott, Jalston Fowler and Marvin Shinn. Before being named the head coach, Stevenson was an assistant coach for a year at Vigor in 2002. He spent seven years (1995-2001) as an assistant at Huffman High School and two years (1993-94) at Mariner High School in Fort Myers, Fla.
Stevenson attended Alabama A&M on an academic scholarship, where he received both his undergraduate (1991) and graduate (1993) degrees. He played high school football at Huffman and the team advanced to the state championship game in his senior year. A native of Birmingham, AL Stevenson and his wife, Tracy, have a daughter, Aisha and a son Jaylon.